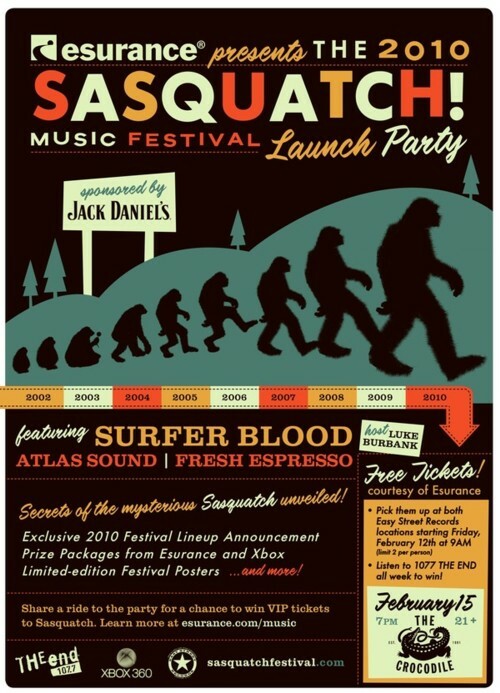 The Crocodile hosts a free launch party for Sasquatch this Monday, February 15th. They’ll announce the festival’s lineup and feature their own cool show. Yes it’s the day after Valentine’s Day, but you you want to know before other people who is playing Sasquatch this year, right? Then you can eat more chocolate. Written by: Dagmar on 02/09/2010.